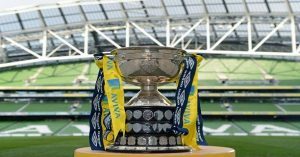 The FAI Senior Cup final between Cork City and Dundalk on Sunday at the Aviva Stadium showed the Airtricity League in a very positive light. There was over 30,000 in attendance and some great football on show. While the rest of the country enjoyed the occasion, Limerick FC supporters were questioning where it all went wrong on Shannonside. 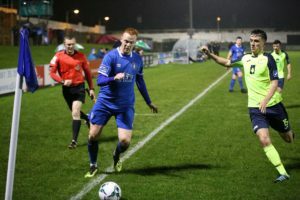 “This is a dark night and I certainly have a heavy heart watching this.” Those were the words of former Limerick FC manager Noel O’Connor as Limerick were relegated at a packed Markets Field following a 0-2 defeat against Finn Harps. The most disappointing aspect about the defeat was that the visitors could and should have won by a greater margin. In such a big game, many were infuriated by a perceived lack of fight from the Limerick team. While people had every right to feel aggrieved, a lack of fight on the night was not the reason for relegation. The squad has been short of quality for the whole campaign. Limerick arrived to the playoffs off the back of a dismal run, but the team have endured dismal runs all season. 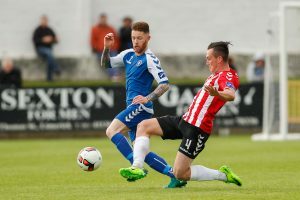 Limerick shipped 75 goals and scored just 25 while securing just seven wins, four of which came against bottom side Bray Wanderers. 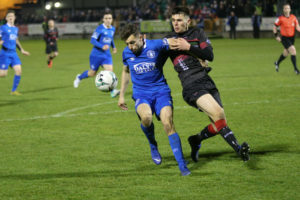 Although we managed to ease our fears by claiming we could never compete with the likes of Dundalk and Cork anyway, the Shannonsiders should have fared much better over two legs against Finn Harps. My biggest fear at the start of the season was that Limerick had signed too many players who were extremely injury prone. But due to upheaval in pre-season, Tommy Barrett was left with little option. Low and behold, after a matter of weeks, the likes of Daniel Kearns, Darren Dennehy and Danny Morrissey were regularly injured. Limerick could ill afford such a situation to arise with a small and inexperienced squad. The financial trouble which followed during the summer and resulted in the departures of Brendan Clarke, Conor Clifford and Kearns wasn’t a shock to many close to the club. The warning signs were there in pre-season. However, it was a bitterly disappointing development. 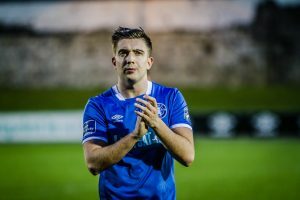 When Limerick supporters look at what Waterford FC have achieved with financial backing this season, there is a strong sense that Limerick should have built something similar upon promotion in 2012. However, the appointment of Stuart Taylor as manager while bringing in a raft of players from England on big wages, is a mistake the club have never really recovered from. We only achieved two 6th place finishes in that time. 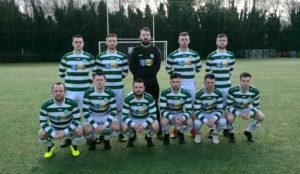 Following the much anticipated move back to the “spiritual home” of Limerick soccer , The Markets Field in 2015, the club showed signs of re-vitalisation. The return to the Garryowen venue coincided with an unbelievable run to make the promotion/relegation play-offs when the team looked dead and buried. 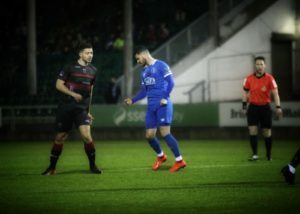 Although there were 4,500 at the Markets Field for the playoff with Finn Harps and optimism was high, the club missed out on a great opportunity to build a fanbase when BJ Banda broke Limerick hearts with an extra-time winner for Harps to relegate the Super Blues. 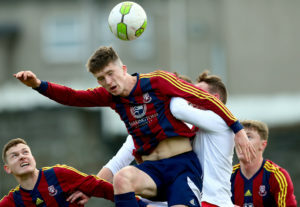 Owner Pat O’Sullivan tried to ensure that the connection remained between supporters and the relegated players which had grown in previous months by offering new contracts. Despite winning the first division at a canter, spending beyond our means since 2012 and before, appears to have finally caught up with the current Limerick board. This relegation is a much bigger blow than 2015 as there appears to be no quick fix and we may be waiting another two decades for a return if drastic changes aren’t made. Even if many of the current squad were to remain which is unlikely in the extreme, the group would not be good enough to sustain a challenge for an immediate return to the premier division, even allowing for the drop in quality. Current manager Tommy Barrett has recently stated that he would like to remain in charge. There is no doubting that Barrett was given an extremely difficult job at the start of the season. With a further reduced budget on the horizon for next season, it will be even more difficult if he remains. With the current problems being experienced, it is likely that the former Limerick captain will remain at the club as a managerial appointment will not be top of the agenda in the winter months. Pat O’Sullivan recently said that Limerick must produce it’s own players and he is correct. However, without backing from the Limerick public or new investors in the short term, it will be difficult for Limerick to put the structures in place to compete in the top division in Ireland for the foreseeable future. Considering O’Sullivan has shipped over 6 million of his own money into the venture since 2009, it is certainly a missed opportunity for Limerick senior soccer.